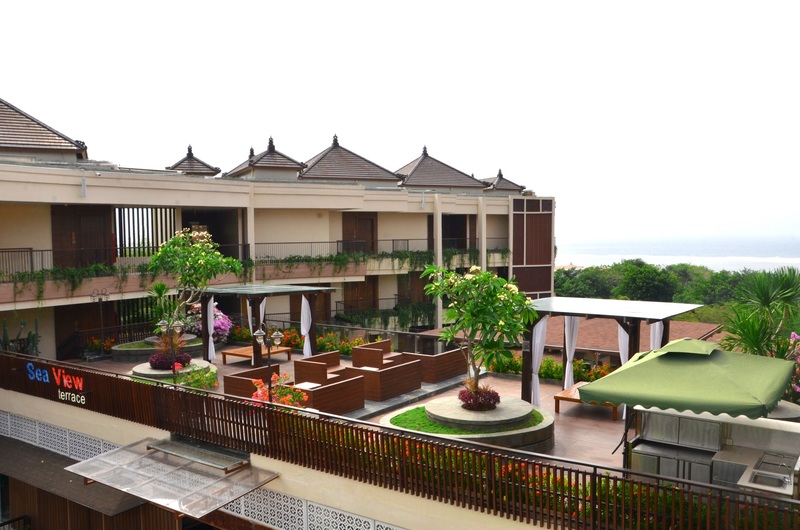 At VOUK Hotel & Suites (Ex Mantra Hotel and Puri Nusa Dua Hotel) you can truly immerse yourself in Bali. Relax and let your stresses float away in the azure blue resort style pool, a warmth combined with a level of service and attentiveness that will make you want to stay forever. Enjoy panoramic hill top views to the Indian Ocean or hillside vistas from your contemporary style accommodation with all the conveniences to make your stay comfortable. Our feature and facilities are fully equipped gymnasium, beach club, restaurant, wedding venues, mice facilities, bar and lounge, Chakra Spa, resort style pool, and 24 hour reception. Spacious 51 sqm Superior room and Deluxe room for your convenience stay facilitated with individually-controlled air conditioning, Wi-Fi, private balcony with daybed, personal safe, bar-refrigerator, cable tv with international channels, lounge, tea & coffee making facilities, rain shower, full amenities, bathtub in Deluxe & Suite. Extra Spacious 102sqm at our Suites designed for family and facilitated with living room. 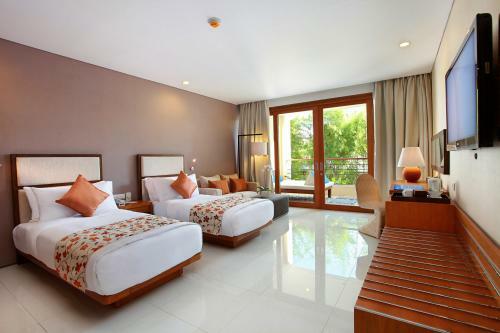 With our spacious 51 square meter Superior Room, you’ll have plenty of room to stretch out and relax. Available with double or twin beds, complete guest amenities, and complimentary bottled water. The room offers complimentary high-speed wireless Internet access, in-room Safe, and flat screen LCD TV. 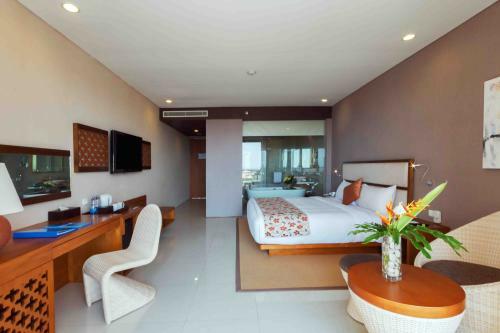 Ideal for business or leisure, you’ll be sure to enjoy your stay here in our elegant, bright and spacious Superior Rooms with such affordable prices hotel in Nusa Dua Bali. Upgrade to our 51 square meter Deluxe Room and take a long bath in the beautifully finished bathtub. Let yourself soak up the warm sunlight while relaxing on the daybed from the spacious balcony area. Available with double or twin beds, complete guest amenities, and complimentary bottled water. The room offers complimentary high-speed wireless Internet access, in-room Safe, and flat screen LCD TV. Our Suite will make you feel at home with the 102 square meter room size and King Beds. On top of the basic amenities provided in Superior / Deluxe Rooms, the Suite Rooms are designed with an extra space for Living & Dining areas for your comfort.